With over 25 years of multi-channel and distance selling experience, we understand the importance of optimising operations to ensure continued success and business growth. Our multi-channel ERP software is the business system of choice for leading brands including; Hotel Chocolat, Joe Browns, Axminster Tools & Machinery and Tottenham Hotspur. 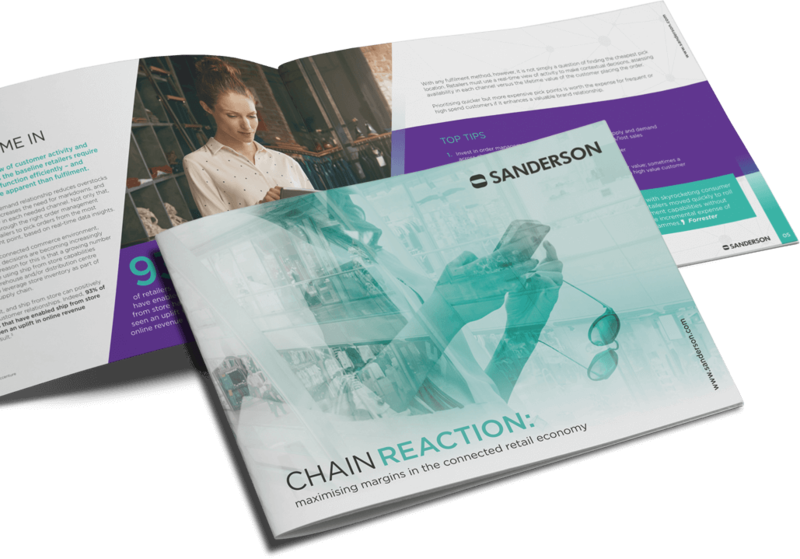 Sanderson multi-channel retail software helps you to expand and manage multiple sales channels, achieve a single view of customers, offer flexible fulfilment and delivery options, and utilise all stock across your business, to support all channels. Find out how Sanderson multi-channel retail software underpins every part of Axminster Tools & Machinery’s business and has powered growth to £47m. As the software author, Sanderson provides your business with increased flexibility and knowledge to maximise your opportunities for growth and adapt to changing buyer behaviour and market development. This has proven highly effective for our customers. Want to find out more about our multi-channel retail software? Download our guide to improving your company’s profitability.